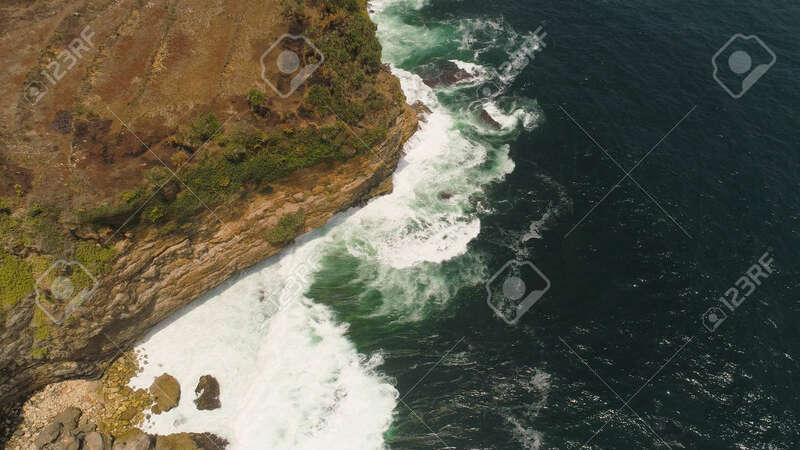 Aerial View Rocky Coastline With Cliffs, Ocean Surf With Breaking Waves In Coast. Seascape Waves Break On Rocky Shore Java, Indonesia Lizenzfreie Fotos, Bilder Und Stock Fotografie. Image 115259692.